This page was made by Perseonn Balthasaar. Welcome to the Legendary Souls guide! In here you will find the recommendation on how to beat the mode and image gallery for the special costumes of Siegfried, Nightmare, and Cervantes. 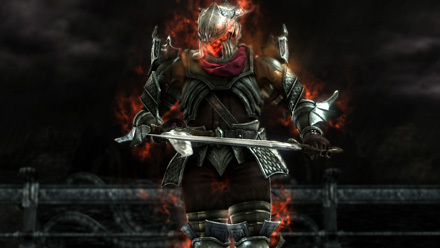 The Legendary Souls mode is the only mode in this game which has no purpose whatsoever except bragging rights. All of the stuff you can unlock in this mode can be unlocked much easier by using player points. 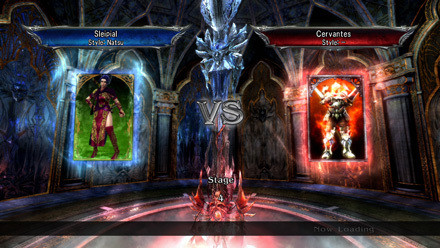 The AI in this mode reads your button input and dish out the fastest attack they can give, including abuse of just inputs and quickest inputs, to form a long combo in which there's almost no escape. There's no fun in it, no prize, nothing. Needless to say, it is highly recommended not to play this mode. Nothing will be gained except a remorse of having hours of life wasted. Recommended character is Soul of Natsu; mainly because of her speed and strength. Try practice with her Main Move tutorial in Training mode to get a grip on how Natsu works. You will not need to be extremely good with Natsu, you only need to know her basic moves. If you are a range player who like to hit enemy using Nightmare's sword tip (like me), you can learn the ranges easier. Your main attack will be 6B+K BBB. Use this move from afar as doing this in close combat will most likely result in failure. The hypothetical optimal range is: 6B+K BBB after the third hit been blocked. 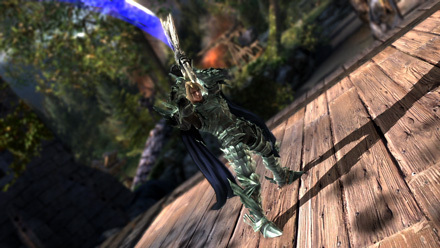 During battle, taking a step back is a good move as opponent tend to run forward, shortening the distance. Only do this attack when opponent is standing and watch out for self-ringouts. Don't bother with fancy moves. Human reaction speed is no match for the AI's reaction to pull a counter. Her AA outspeeds most opponents in close combat except Edgemaster, which is the hardest problem in the mode, take note that only go to AAB if the first attack lands on a counter. An alternative attack to use when close is throw. While hard, try to go with 66B+K or a+gA+B+K. This is the only Brave Edge safe to use. When the opponent break throw, there's a big chance that throwing them again will work. While rising AAA seems to work well to get up after being downed. Do not give up, especially against Cervantes and Edgemaster. Remember that this game has a chance that AI go braindead, thus can be exploited. Kilik: He will always use Xiba's style. This makes him gain access to his personal 22AAA attack. 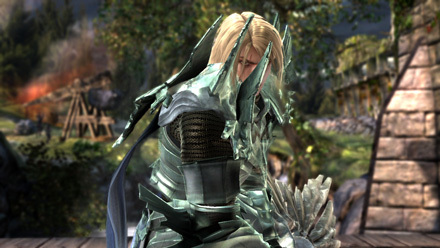 Siegfried: He appears in his SC4 attire with SC4 Soul Calibur Complete. There's nothing special about the weapon, except appearance. 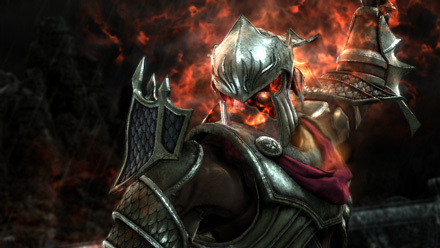 Nightmare: He appears in his SC4 attire with SC4 Soul Edge Complete. There's nothing special about the weapon, except appearance. 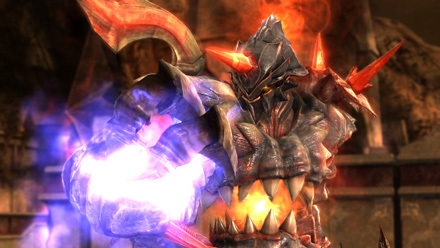 Cervantes: He appears in his SC5 2P outfit combined with flaming skull, similar to SC Inferno / SE Soul Edge. He tend to abuse his quickest input move, thus performing long, impossible combos. He is the second hardest opponent. Edge Master: He will always use Alpha Patroklos' style. He tend to abuse his just input move, thus performing long, impossible counter attacks. He is the hardest opponent. Elysium: She will always use Pyrrha Omega's style. This makes her have unique Critical edge, unique 236B, and unique taunt move. She tend to use her Critical Edge in combo or for downed/aerial combo, which makes it weaker. 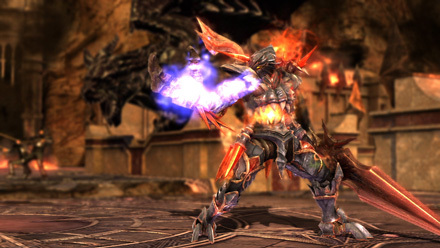 Algol: His special power is to positioning himself so well that the 6B+K BBB can result in self ring out if not careful. It seems that he will not do his Critical Edge unless he has 2 full bars.